Your Website is Your 24/7 Sales Representative. Is it Getting You Leads? The days when websites were simply electronic business cards are gone. These days, a modern website has to be so much more. Our experienced Website Design team is passionate about helping you to create stunning websites that actively contribute to your business. A well-crafted website can become your cheapest sales agent – let us make it work for you! We design websites with your customers in mind. No one likes a clunky website, when your customers love your website, so will you. 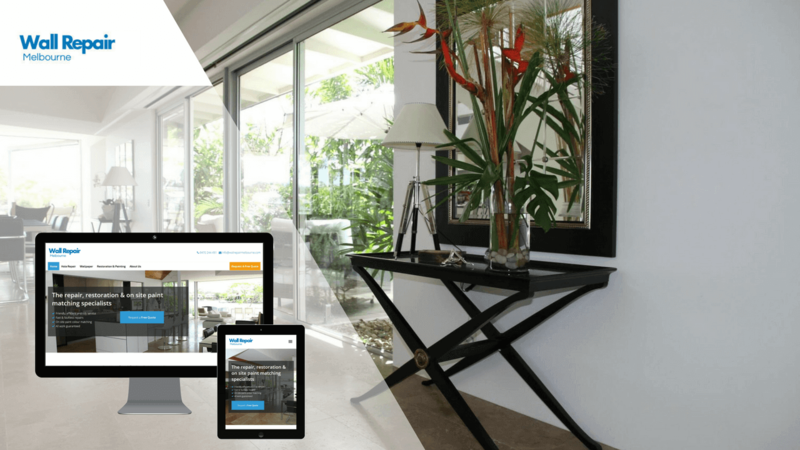 No matter what device your clients are using, your website will be a joy to interact with. We provide a content strategy and copywriting service to drive conversion through your website. Only the best! We build high performance, user friendly, websites on the WordPress content management system (CMS). We recommend the best web & email hosting solution and help you choose the right domain name. Whether you want to update the site yourself or have us do it for you, we have a support package to suit your needs. Alex’s business depends on digital marketing. Without it he would have no clients so getting it right is essential. We worked with him to give his business the digital marketing boost he needed! Maintain the current number of leads. Highlight the money back guarantee. Attract customers that are willing to pay higher prices for quality. Using a combination of graphics, copy writing and copy strategy, we developed a fresh new look that attracted home owners and conscientious renters. And we achieved this while still maintaining the high number of leads that Alex was used to enjoying. "While Social Panda has been working on my website, form and search engine optimisation I have seen an increase in emails and phone calls for work. Honestly, sometimes I have too much work! It is great for me to have all the geeky stuff looked after so I can focus on running my business." Ready to Get Started on Improving Your Website?